With all eyes of the global Rotax community on the Grand Finals at NOLA Motorsports Park, and so many racers tuning into our Trackside coverage here on eKartingNews.com, this is a perfect time for us to have a look at one of the Rotax programs that will highlight to so-called ‘off-season’ on North American karting. The Rotax Challenge of the Americas is a winter series on a continual rise, thanks to a perfect mix of heated competition and an enjoyable paddock atmosphere. 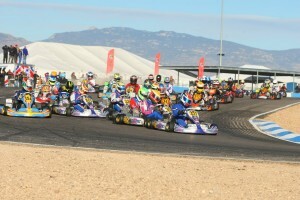 The series offers direct Grand Finals tickets to its champions in DD2, DD2 Masters, Senior Max and Junior Max, and the class entry lists have been growing steadily, topping 125 drivers at last year’s opener. In 2014, the series will visit Tuscon and Phoenix before capping the three-weekend run at Simraceway in Sonoma, California. 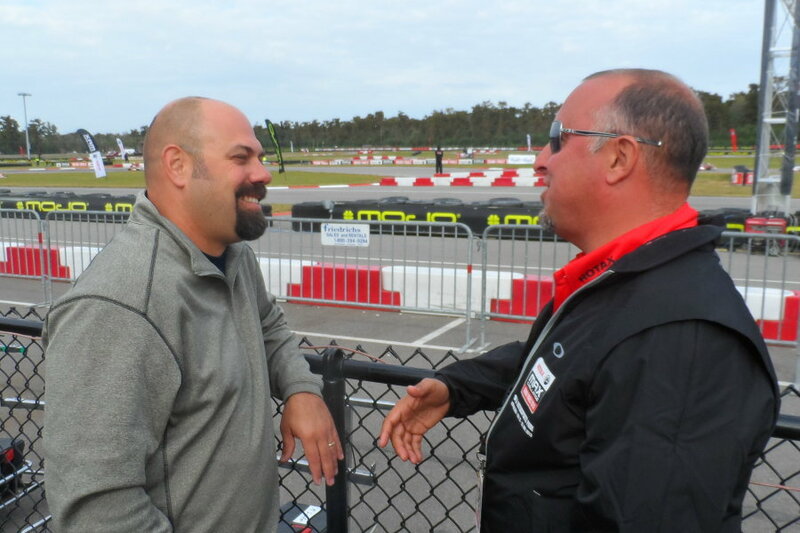 As part of our continuing support of the Rotax program, EKN’s Rob Howden sat down with Challenge of the Americas’ promoter Andy Seesemann to discuss the upcoming edition of the series. 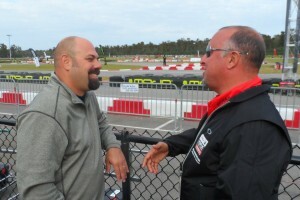 Rob Howden: Andy, thanks for taking the time to speak with us about the 2014 Rotax Challenge of the Americas. We’re proud to have had the ‘Challenge’ as part of our EKN Live program for the last two years, and were back again for 2014. We’re excited. The series just keeps getting better and you make improvements each year, and with steady growth from the beginning, do you have any major evolutions planned for this season or will the focus be on fine-tuning the current formula? 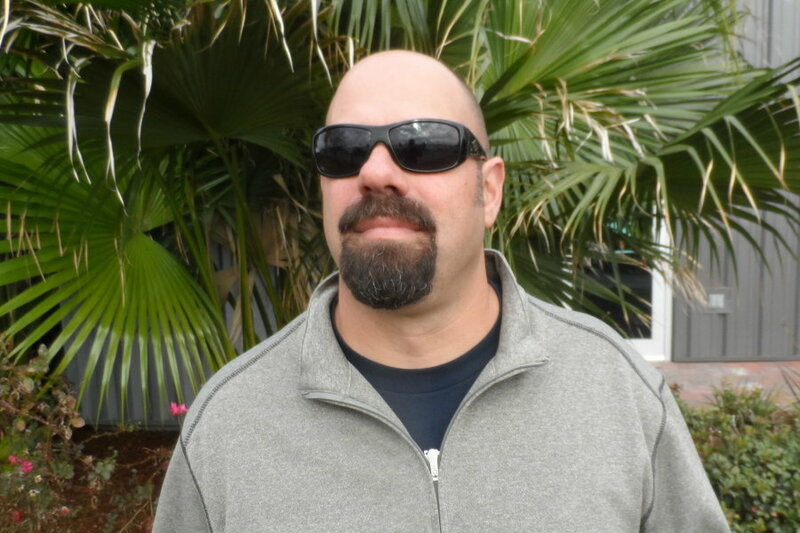 Andy Seesemann: Thanks, Rob. We have built a good base for the Challenge of the Americas, so fine tuning is the plan for 2014. No major changes are on the board, but we can always improve how we do things. I believe that our growth over the past few years has shown that our customers enjoy our program and are satisfied with the way we do things. RH: The schedule will see a little evolution this year, heading back to Sonoma after the now-traditional opening races in Tucson and Phoenix. In the past, the series finale in NorCal was plagued by poor weather, but with the move to the first weekend in April, there is a much better chance for a picture perfect ‘Wine Country’ weekend. Did the April date play a role in you electing to go back to Sonoma and are you excited about your return to the facility, which always provides great racing? AS: Yes, I am thrilled to go back to Simraceway in Sonoma in 2014. We were last there in 2011 and our long-time customers expressed an interest in returning. It is one of the best tracks on the West Coast, if not the country, and is certainly on the best piece of real estate, that’s for sure. The original date we were looking at was the last weekend of March, to be consistent with our first two events, but there was a conflict that we couldn’t work out. So, we moved into April for the first time in the history of the Challenge of the Americas. Having a date that late gives us a much better chance to avoid the wet weather that has been an issue in years past. It may also help that it is during Spring Break for some areas, so competitors can bring their entire families for a nice NapaValley vacation. RH: As a winter series, this must be a significant part of the program’s draw. The ‘Challenge’ provides the opportunity for drivers to get back on-track early to begin the new year, and for those in the northern states that get hit hard by winter weather, the warmer weekends in Arizona are very enticing…I know they are for the EKN crew. That said, both Tucson and Phoenix offer lots to do for families in terms of using the ‘Challenge’ as a getaway, with great golf, lots of attractions and nationally-recognized food scenes. The racing is certainly the primary focus, but the extras are nice. The addition of racing in the Napa Valley is the icing on the cake, I expect. Do you get input from your customers that supports this notion? AS: First and foremost, karting is a family sport, so we need to have races in areas that are attractive enough for other family members to attend. Those of us that live and breathe the ‘racing’ sometimes forget this. I agree that one of the draws of the Challenge of the Americas is the good winter weather and the variety of family attractions that exist beyond the race track. All three tracks are less than 20 miles from their respective downtown areas. Tucson and Phoenix have golf courses, Sonoma has wineries. You and I always seem to find a great restaurant or two to have a meal as well. We all have different needs! Every year, I do have a Mom or two that lets me know that they appreciate our thought process when we choose venues. RH: That’s exactly what I figured…and yes, we’ve locked in a couple standby restaurants for each of the venues. A guy’s got eat, right? Back to the ‘Challenge’, the level of competition continues to rise with the growing participation numbers, and we’re now going to start seeing some of the top Juniors moving to the Senior category, which should REALLY fire things up. With your 2014 Grand Finals tickets again up for grabs, what are you particularly excited about in terms of the actual competition. Are there any graduating Juniors who you’re particularly interested in seeing how they fair against the big dogs? AS: Every year, we have kids move up in class and immediately make an impact. We have racers that started with Micro and Mini who are now in Senior Max! That speaks to the solid foundation of our program and the value that our customers see by staying with us for a long time. This past winter, our Jr. Max class was dominated by the duo from RPG – Blaine Rocha and Luke Selliken. They both earned Grand Finals spots and will come back even more experienced than ever before. Both are set to move up to Senior in 2014 and should be fast. Juniors always seemed to get knocked around a bit their first year in Senior, so we will see if their week at the Grand Finals prepares them for the Senior Max class. The competitiveness of the other classes improves every year and 2014 should be no different. I think that 2014 is going to be a great year for our program, with the World Finals just being held in the US and the Grand Nationals returning to MillerMotorsportsPark in Utah once again. I think that we will see a lot of new faces that haven’t traditionally raced with us in the past. RH: Andy, the Challenge of the Americas is obviously a different animal than the Florida Winter Tour, in many ways. You draw from a different community for racers for the most part, and there’s also just a different vibe, a different atmosphere. Your new slogan for 2014 plays on a current catch phrase, ‘Keep Calm, and Race The Challenge’. It really does seem to fit. How do you see your series and the type of experience that it provides to your customers? AS: I’ve said for years that all series mimic the personalities of their owners in many ways and the ‘Challenge’ is no different. Anyone who knows me knows that I like to have a good time all the time (Spinal Tap reference) and I try to not get too worked up and stressed about things. Although the on-track action is serious and is as competitive as any of the other high level series in the US, the vibe in the paddock is laid back and calm as well. Our customers do this for fun, and if they’re not having fun, they can potentially leave the series or the sport. I want to make sure that they stay in the sport and race with us for a long time. RH: That’s a good point. I guess it’s proven by the fact that you have a very strong core group of drivers and teams who campaign the series each winter. Along those lines, we have heard news that a couple of teams may be returning this year and that a few new operations will be in the paddock as well. This bodes well for a program that has maintained an all-important 10% surge of growth each year. What are you hearing from your communication with your teams? AS: I have heard from several teams that they are already booking spots for the series. Mike Rolison from RPG told me that he is going to have a few more racers than last year and AJ Whisler from WRS is coming with a bigger presence as well, mounting a two-coast operation this winter. After taking a year off from bringing a team due to the birth of his child, Blake Choquer is back as well, and Luke Vasquez from Black Flag has also said that he is coming with a good contingent as well. All four have already signed up as class sponsors for 2014, which shows that they are committed to our program and recognize the value of the Challenge of the Americas and that becoming a series partner is good for their businesses. Nash Motorsportz, Tru-Tech, Phil Geibler Racing, Buddy Rice Karting, ART GP, CRG USA, Dallas Karting Complex, Cambrian Go Karts, Aluminos, KartSport North America and J3 Competition have also made contact with me regarding 2014. I predict that our growth trend will continue in 2014 in a big way. RH: This is all good news. A strong West Coast winter series plays an important role in the U.S. Rotax Max program, and you’re doing great things for the sport. Kudos. Thanks for taking the time to sit down with us, and we’ll do it again in early January to get another update. AS: Thank you very much, Rob.